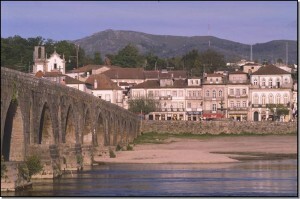 This walking week starts by the sea in the historical town of Viana do Castelo and then moves inland to Ponte de Lima, the oldest town in Portugal. In essence we will be walking inland along the Lima valley, a beautiful tranquil place with its own unique identity which sings out from the rest of Portugal. The week offers a rich variety of walks from the dunes of the Atlantic to the wild mountains of the Serra de Peneda part of the Peneda-Geres National Park – the only National Park in Portugal. Day 1. 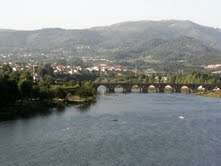 Transfer from Porto or Porto airport to Viana do Castelo. Day 2. ‘The Coastal Forts’, a walk along the Viana do Castelo coastline passing along the way the 3 historical forts that used to protect this area and visiting the Bronze Age rock art still preserved in the cliffs at Montedor, 14km, overnight Viana. Day 3. ‘The Serra de Arga’, a walk through the traditional landscape of the Serra de Arga, once famous for its watermills, 12km, overnight Viana. Day 4. ‘Bertiandos’, the wetland areas of Bertiandos were formed from the ancient oxbow lakes of the river Lima and now they provide a unique walking area and a home to many birds, 16km, overnight Ponte de Lima. Day 5. ‘Table of Four Abbots’, a walk that gives panoramic views over the Lima valley as we wend our way over the mountains all our movements watched by packs of wild ponies, 10km, overnight Ponte de Lima. Day 6. ‘Soajo’, a walk from the historic village of Soajo famous for its Espigueiros in the Peneda National Park passing ancient water mills and old farms with wonderful views, 12km, overnight Ponte de Lima. Day 7. ‘Land that time forgot’, a marvellous walk deep in the heart of the National Park to a small village where bartering is still the norm and all activities are controlled by the village council, 14km, overnight Ponte de Lima. Day 8. Transfer back to Porto in the morning.